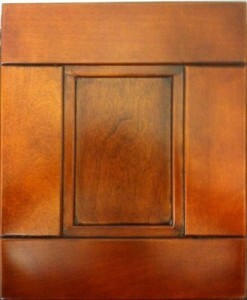 Did you know that RTA Cabinet Store offers fifteen different varieties of Shaker-styled cabinets? Fifteen! Why is that? Why do we carry such a broad variety of color and style variations, some of them remarkably subtle? Well, partly it’s because Shaker cabinets are extremely popular. But that just begs the next question: Why is a 250-year-old style based on rustic simplicity still so popular today? Well it’s because they’re actually very versatile, able to fit in with a wide variety of styles and themes. The most obvious style is a kitchen with a rustic, sort of farmhouse feel. Shaker cabinets in natural or lightly-stained wood tones feel much like the original design intent. Their straight lines and right-angle features don’t feel frivolous or overwrought. They look and feel sturdy and functional. To complete this kind of look, pair our Natural, Birmingham, or Traditional White Shaker cabinets with simple but solid oiled bronze hardware, like our Chesapeake or Bella lines. Or, add even more rustic flair with the weathered and forged look of Belcastle. Shaker cabinets can also give a reserved, yet not quite formal feel. This is especially true in cool neutral colors. For a softly austere look, check out Stone Gray Shaker cabinets. West Point Gray offers a bit more attitude, while still holding it in check. Or, for the ultimate in clean, composed lines, Shaker Hill offsets shaker doors with simple slab drawer fronts for assertively clean lines. Pair them with hardware with equally clean lines for the best results, such as Key Grande, Key Largo, or Key West. Perhaps the most popular usage for the clean, simple lines and shapes of Shaker cabinets is for sleek, ultra-modern kitchens. Contemporary shaker designs like our ultra-bright Frosted White Shaker, or the softer matte finish of Arlington White pair well with polished hardware with clean lines, or with sharply contrasting color in the hardware. Check out Sedona hardware for a post-modern feel. Or change it up with a dark color like our Cognac Shaker line, or if you’re bold enough, even our Espresso cabinets. Paired with a retro-modern look for hardware, like the enigmatic Breighton in Brushed Satin Brass, and some intense but focused and directional lighting, you can create a very dramatic look that’s sure to impress. For more ideas on how to use the simplicity of Shaker cabinets to create the exact feel you want in your new kitchen, visit https://www.rtacabinetstore.com/free-kitchen-design-help to schedule your complimentary professional kitchen design consultation today!